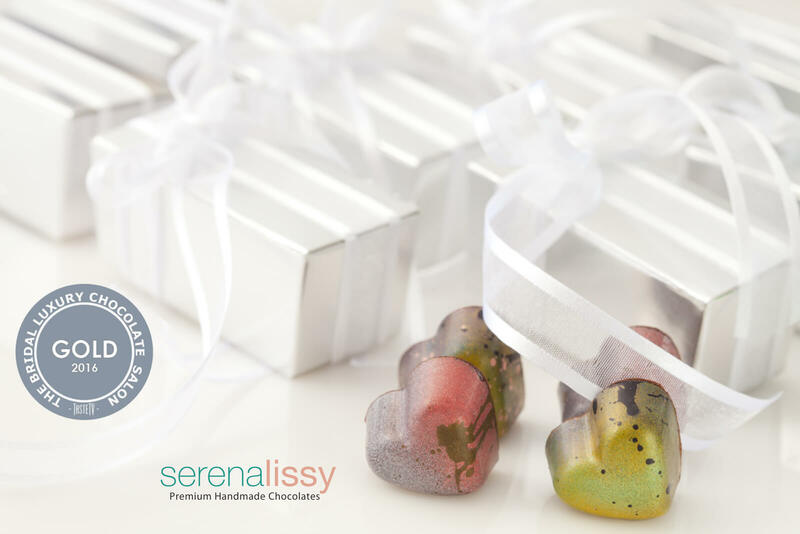 We are excited to announce that the International Chocolate Salon, presented by Taste TV, has presented Serena Lissy Chocolates with a gold and two silver awards in the International Chocolate Salon Competition, Bridal Chocolate Category. The judging panel consisted of editors of national and regional magazines, newspapers and other media experts. 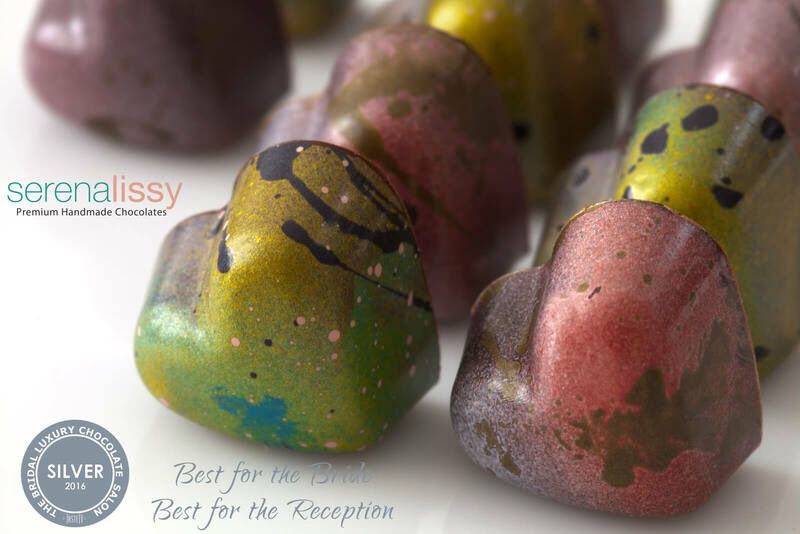 The Bridal Salon Awards are a great achievement for us because this competition draws entries from across the U.S. from hundreds of chocolatiers. Our two-piece bridal box took gold for Best Traditional Chocolates; we also were awarded a silver in the Best for the Bride category, as well as a silver for Best for the Wedding Reception. The bonbons for the two-piece bridal box were a black cherry compote with almond gianduja, and a strawberry white chocolate ganache paired with a black pepper milk chocolate ganache. Both were molded in a heart shape using our custom blended dark chocolate. The decorations were hand painted (as on all our products), using colored cocoa butter to ensure the presentation is as stunning as the flavors. If you have a special event coming up feel free to contact us to discuss a unique flavor creation, or custom colors to add the ultimate touch of elegance.